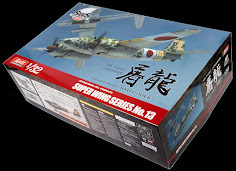 Available from Mantis Miniatures Distributors worldwide. 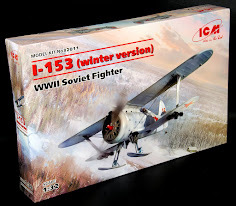 With all of the new injection moulded kits that are getting more and more into niche markets World War One is becoming more of a "to-do" on a lot of modeller’s genres. 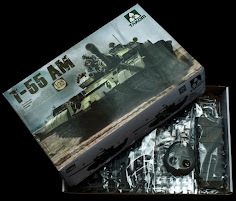 British, French and German tanks need to be populated with the humans that occupied them, so that means that not only is there a shortage of tanks but also of 35th scale figures we never knew we wanted before. 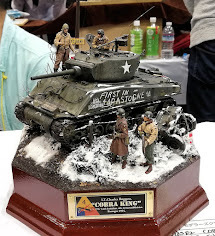 Mantis Miniatures has two fine figures of tankers for sale. One an officer and the other a soldier in the tank. 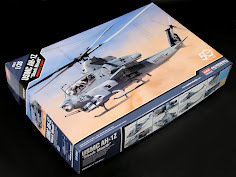 Let’s have a look at both of these as they are sold in single figure and as a set in our construction review. 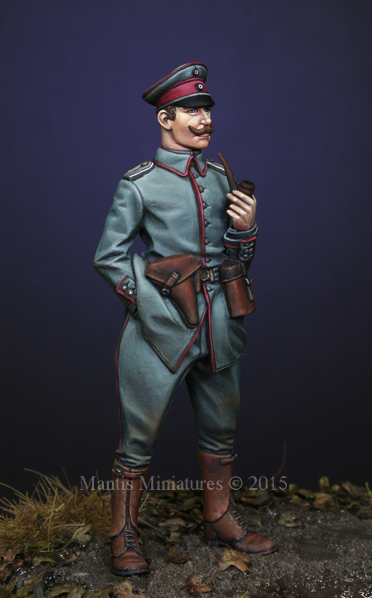 Mantis miniatures provide us with some pretty nice resin figures. We have had a look at a few of them here on TMN and we like what we see usually. 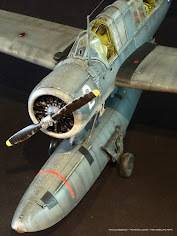 They are definitely up there on most modellers wishes with often figures that are a little different from the norm. 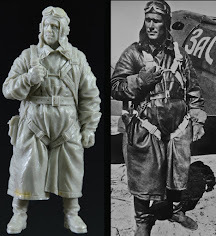 These two World War One German tankers give us more of that obscurity in grey resin form. 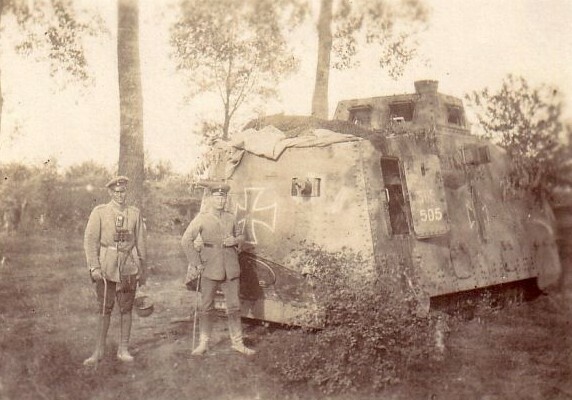 The Germans really got caught out by the British tanks in World War one. They were always playing catch up in numbers and tank technology but that is not to say that their tankers were any less brave as their enemy. They took on most of the same risks and dangers the allied tanker man faced and their clothing served much the same functions so there were a few similarities which we will have a look at. 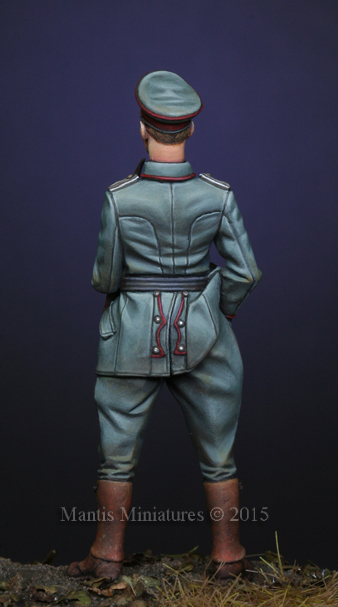 The German tanker’s uniform was in evolution right throughout the war. 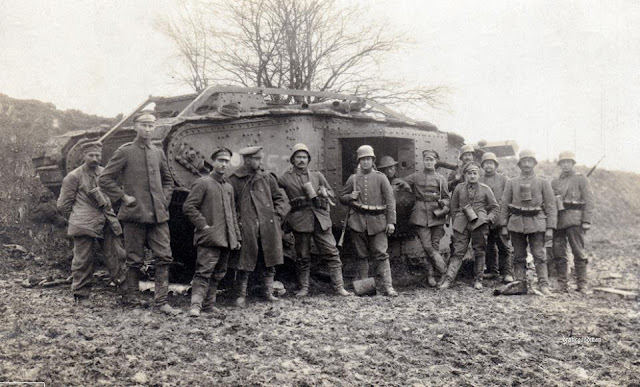 By 1918 the soldiers in these vehicles had some quite useful protective gear like leather overalls. They were issued padded bump helmets and gas masks as standard issue to counter the fumes inside these acrid smoke filled vehicles as well as the danger of being overrun by infantry and attacked with grenades. 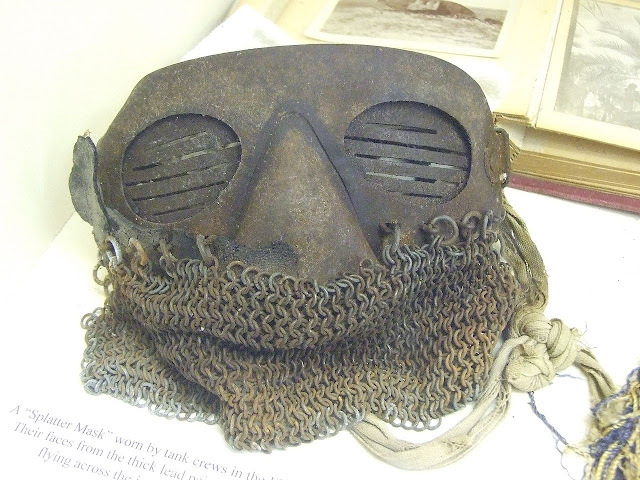 The German tanker adopted the splatter mask from chain mail which was used to protect their head face and neck from armor fragments blown loose by shrapnel and armor-piercing bullets or fragments from rivets bursting back inside the tank. 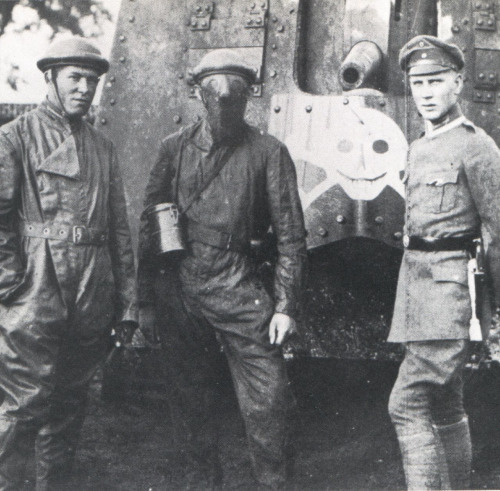 You see a German A7V tank crew showing off their leather helmets and outer wear of heavy leather. 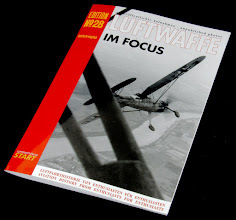 But less talk about the history and more talk about these two figures – first an overview. 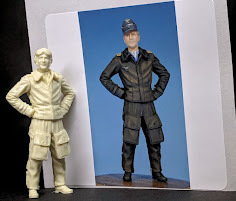 You can get these two 1/35th scale figures by themselves or in a set. Both of these options come in the attractive little black Mantis Miniatures box with the figures painted up on the outside by our man Sang-Eon Lee. Inside the figures are sealed in with a zip locked bag which helps the prevention of loss of the figures’ parts. The resin inside is light grey and it is pretty fine in places. There is the occasional imperfection here and there but no visible bubbles that we could see. 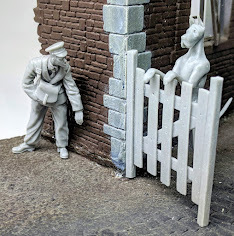 The sculptor for both of these figures is Mr Helder Agostinho, who I do not know of his work before now but at first glance he looks talented. Now let’s have a look at each of these figures from head to toe and then put each together to see how they fit and how they look body language and scale-wize. You can see his cap badges and round cockade on the front of his hat clearly as you can also see the details of his thickly cultivated eyebrows that match his mustachio. The hair and ears are finely sculpted here as are the folds on the top of his cap. The head joint fits neatly into the neck so there are no visible gaps to be seen and alignment is correct. His torso is the largest piece in this bag. The top of the body is attached already to the legs and one arm which is in his pocket so not much gluing or fitting needed here. The one jint that is there is for the other arm which is cradling a large pipe (quite the fashion back then) and the handy thing is there that it is simply locked into place with a square peg and hole system of perfect fit and alignment. 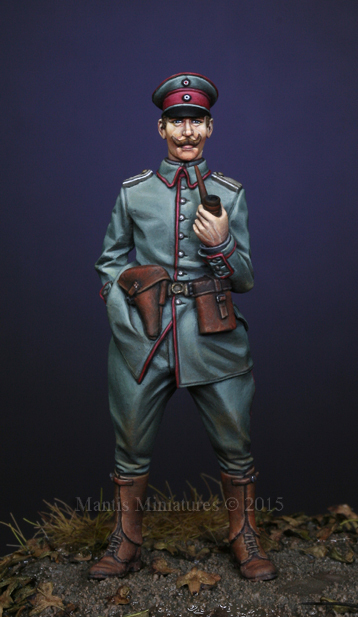 The nicely tailored German officer’s clothing starts with a jacket with large cloth covered buttons running down the front and sewn folds easily picked out on the shoulders and back of the figure. His torso is well populated with gear as well - on his waist is what looks like a small binocular pouch while on the other side of his waist. A hard shell brown leather holster for the standard P08 sits on the torso. The P08 ("Pistole" model 1908), was referred to after the surname of its designer, Georg "Luger." It saw service throughout the first world war and the tankers preferred it as their personal protection item. Although the P08 was never fully replaced by the P38, manufacture of the earlier pistol was discontinued in 1943. The thick and tall galoshes over his boots are a noted addition as is his long pipe which really does put him in the time-frame. 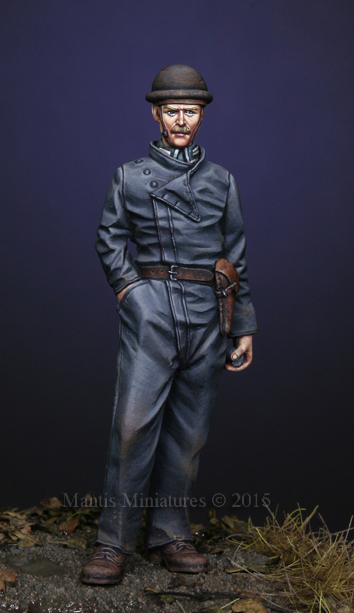 This and his thick mustache and WWI German service cap which really puts him in that time. 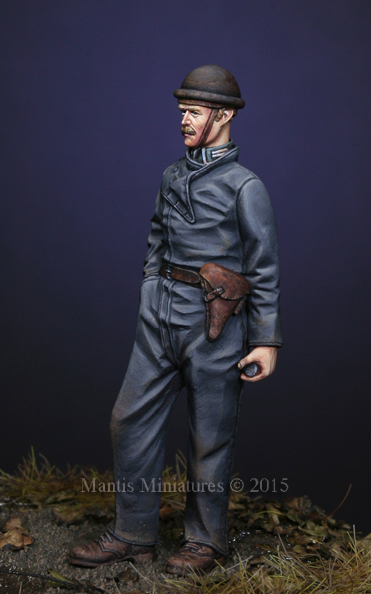 Here he is all together - but still attached to the base resin plug. The fact that there is only one head choice and the one part which fit perfectly into the socket made sure he took about five minutes to clean and glue into place. Every army needs leaders and followers – this poor guy gets the second job. He is a regular tanker and is seen here with two head choices in this figure and one arm only to be secured before he is all together as well. This man has two head choices however. He has two type of protective headgear on. One being the padded leather helmet which was common in tanks during WWI. 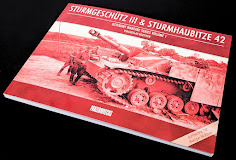 More as a protection FROM the tank than things coming from outside it provided a layer of insulation from head knocks and bumps over uncertain terrain with not much outside view or warning to the men inside the tank. You can see here this fellow has a mustache as well – just as dapper as the officer’s but not as pointy by far. He looks not so much taken with his own appearance as his comrade. The small bump cap which protects his head almost looks like a bowler cap on this soldier. Again his mustache almost makes him look like Dr Watson to his partner Sherlock! The second choice is of the other protective headgear we have seen in the preview – the face mask. This leather and steel face protection is sculpted pretty well considering it is in resin. The lumpy surface where the rings cross and meet is well thought out and looks good, while the bump cap is here also and it protects his head on top as well. Long thick overalls (but kinda stylishly cut to the side) dominate this figure’s torso. The buttons to secure this are again large and prominent as is the belt on this soldier’s waist. He wears just a single pistol in a holster on his belt. 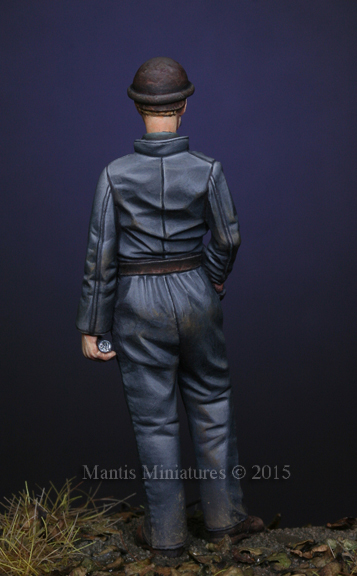 The folds of the overalls are very nicely sculpted as is the tunic collar which pokes out of his overalls. You can see here there was a little bit of resin to be removed from the inside of this figure’s leg. It only too a second or so to do. While we are down there you can see the nice wrinkles in the mans pantalonies and the seams on the top. All of this pinched in by the belt. Nice observation fo the body’s form on this sculpt. The arm had just a little resin excess that needed to be taken off to reveal a nicely carved arm and hand. He is actually carrying something round like a can in his hand and that is why his arm sits straight down on the body once glued together. Here he is made up. 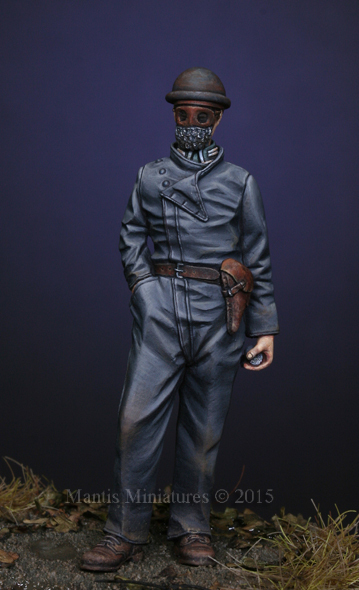 the figure's mail and steel face guard is seen here in some good detail. 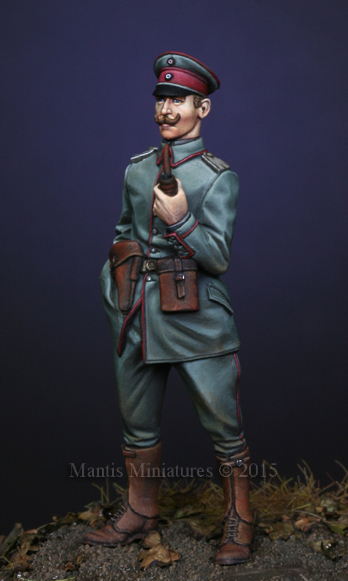 Those who do not like painting eyes will like this figure very nicely. Here is the soldier in the other head choice - the leather padded bump cap that must have saved his noggin many a time in that bumpy old tank...In his black panzer overalls. 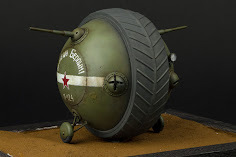 He looks a little like Humpty-dumpty as he is in the thick clothes and the round bump helmet on his head – they probably saved him a lot of cuts, burns, bumps and bruises so he isn’t complaining. 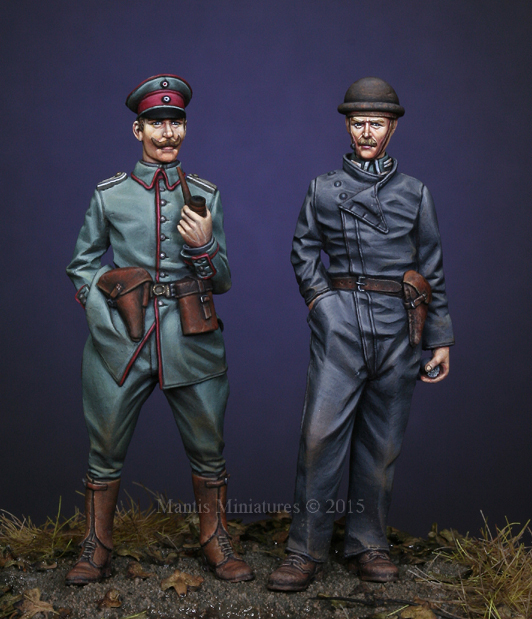 Sold together as a set these two turn of the century hipsters look quite good – you could imagine them in front of either a captured British tank or a massive A7 beast! 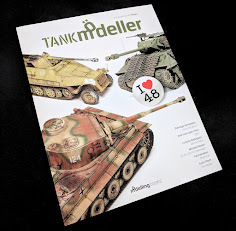 Well these two tankers are two things first and foremost. Much needed and pretty well executed. They will take some careful cleaning to make look a little sharper in detail. Some filing and scrubbing is needed to get them to look just that little bit more rady for paint but it is worth it in the final wash up. 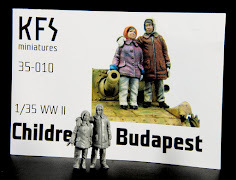 They are well sculpted and cast and they are fine in detail. 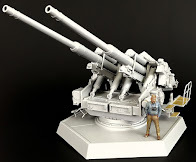 Maybe more figures like this will make me appreciate the "other" world of modelling out there that isn't WWII in panzer grey, yellow, brown and green? 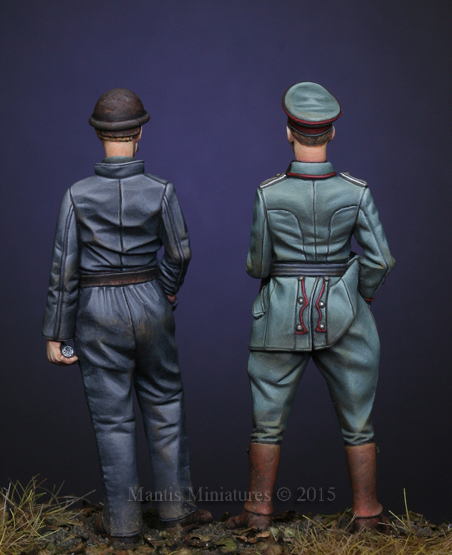 These two tank men from WWI look great once painted (see below) and two figures that fit together nicely in their body language. Great work by Mantis on filling a gap and making me interested in that gap. 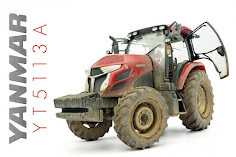 You can get these new items now from the Mantis’ distributors.